Aliyah Jordan, a sophomore, is involved in dance, journalism, and babysits in her free time. She started dancing at Dance Atlantic when she was three years old and does jazz, tap, hip hop, and ballet. Jordan hasn’t yet decided what department she’s going to be in for journalism but is leaning towards photography and editing videos for Eye of the Needle. Jordan is involved in journalism because it gets her “involved in a school activity.” Photography is her favorite part about journalism so far. 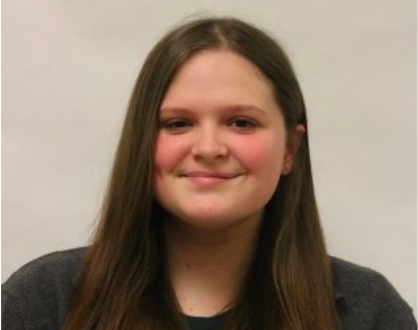 She wouldn’t change anything about the journalism class “because Berryhill makes the class so inviting and she helps everybody to get involved. She is so welcoming.” An “old person” thing that Jordan does is go to bed early. She said, “I sleep all the time.” She also enjoys a strange food combination: the cheese curds from Buffalo Wild Wings dipped in caramel. Jordan’s future plans involve becoming a maternity nurse. A maternity nurse is when you take newborn babies and clean them up and teach mothers the necessities of how to take care of a child.